White Ice Granite Counter Tops / Countertops. 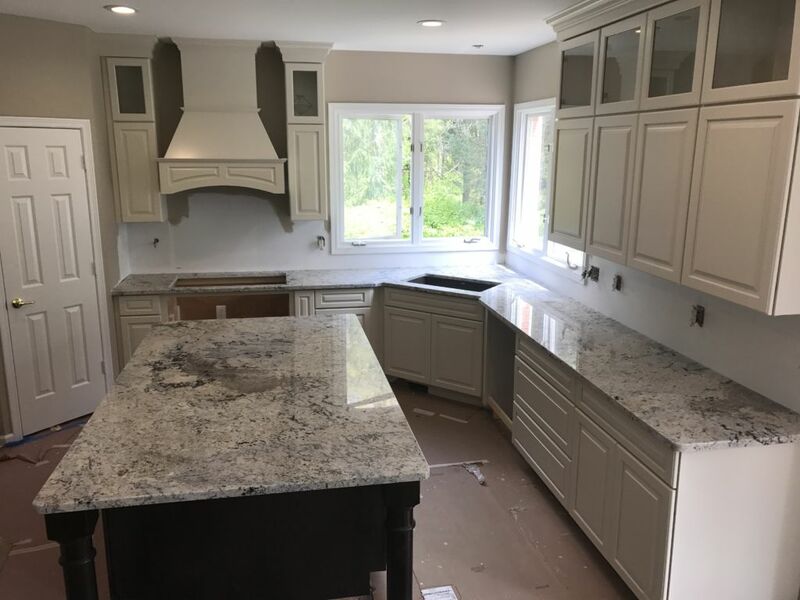 Gorgeous ( White Ice ) granite Countertops for this 2 tone cabinet colors kitchen. This kitchen has composite Undermount kitchen sink. The modern pencil edge gave the entire kitchen a very special look. This job was done by our team of expert. And was installed for the remodeling kitchen project in Rochaster Michigan.